Circle the left-hand thumb with four fingers of your right hand. At the same time, tap the middle finger of your left hand with a right thumb. Keep your hands at the level of the chest bone. 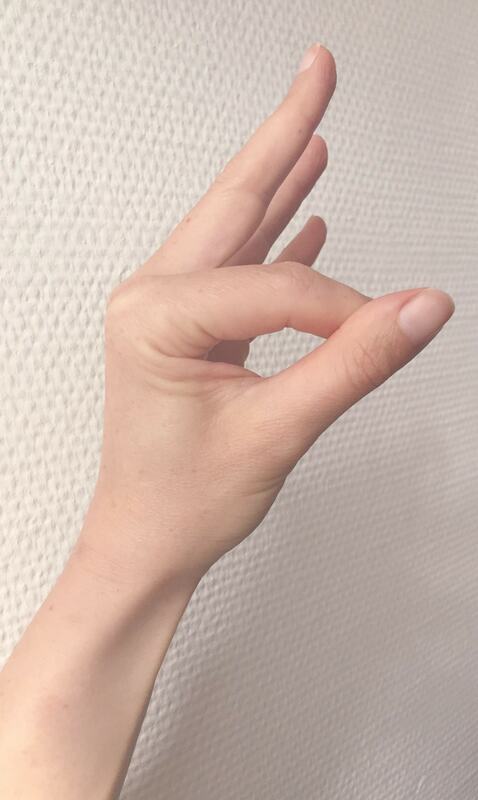 Do this mudra 3 times a day for 15 minutes. It helps with throat chakra imbalance, removes blurred speech problems; in case of poor digestion and lack of appetite. 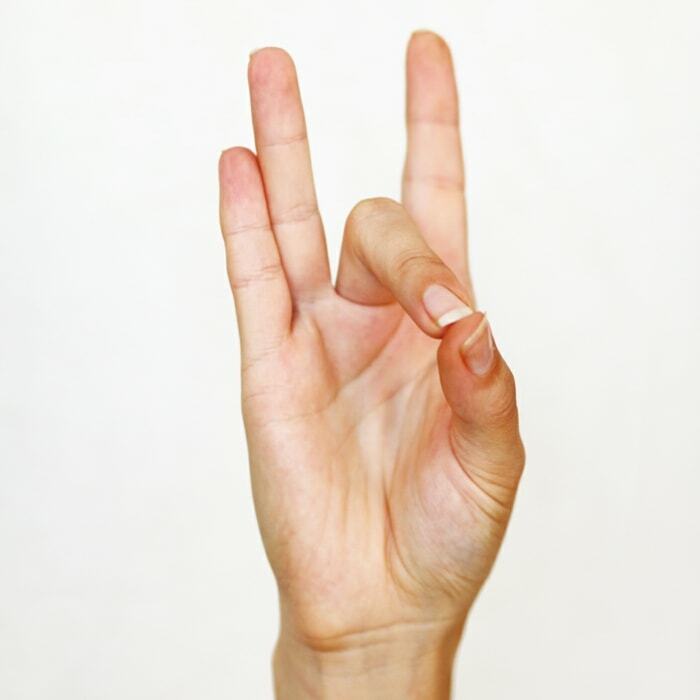 This hand mudra is used to increase self-confidence, security, and self-esteem. It removes fear, shyness, and feeling of insecurity. We place the thumb on the middle part of the index finger on the inside and the other fingers are exposed. The mudra is applied on both hands simultaneously in 15 minutes. By pressing your fingers, visualize how fears and insecurities go and release you. This hand mudra helps with bone problems and heart disease. It should be performed during movement, not in standstill. 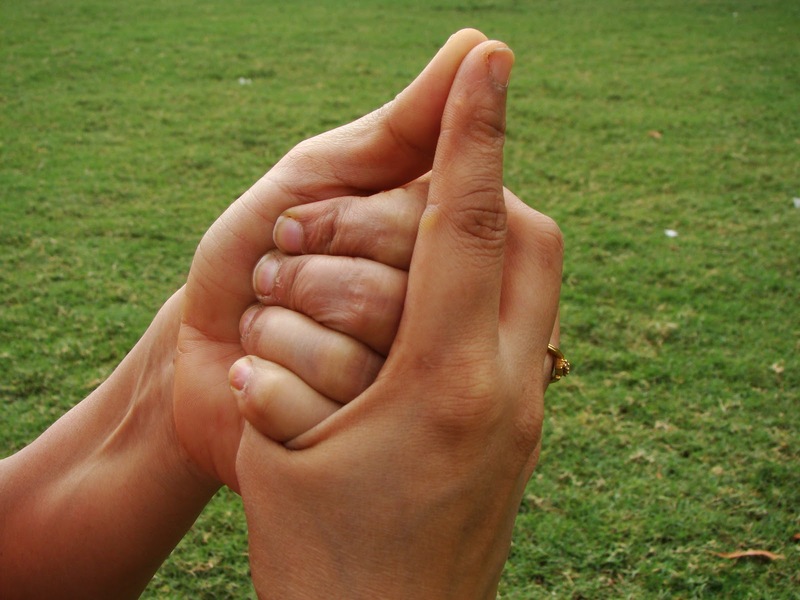 The thumb and middle finger touch each other and the other fingers are exposed.